Except as provided above, our dealership will not use or disclose personal information for purposes other than those for which it was collected, except with your consent, as required or permitted by law, and to provide the features and service(s) you’ve requested. At the time you register for any such feature or service, you will be notified of, and asked to consent to, the sharing of your personal information necessary for the provision of these requested features or services. Personally identifiable information will be shared with Lexus Corporate and may be used by Lexus for their own marketing purposes. 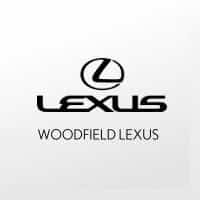 Woodfield Lexus and Lexus, a division of Toyota Motor Sales, U.S.A., Inc. are nonaffiliated third parties and the Dealer’s web site privacy statement applies only to Dealership web site and not to the Lexus Corporate web site.